One of the most talked features of iPhone X is its Amimoji. The company has launched this specifically for iPhone X. People across the globe have also started loving Animoji karaoke. You can go to Twitter and find several Animoji karaoke to see how interesting it is. Animoji is not even available for other iPhone models. It is because Animoji users a dedicated Face ID hardware to create a 3D model of your face and then capture your expressions to model it on an Animoji. It is not possible just by using the front camera of any Android phone. So, getting it Android is not possible just by using Apps. I hope to see Android phone makers to bring a similar thing for Android. Yes, getting Animoji for Android is not possible for now. 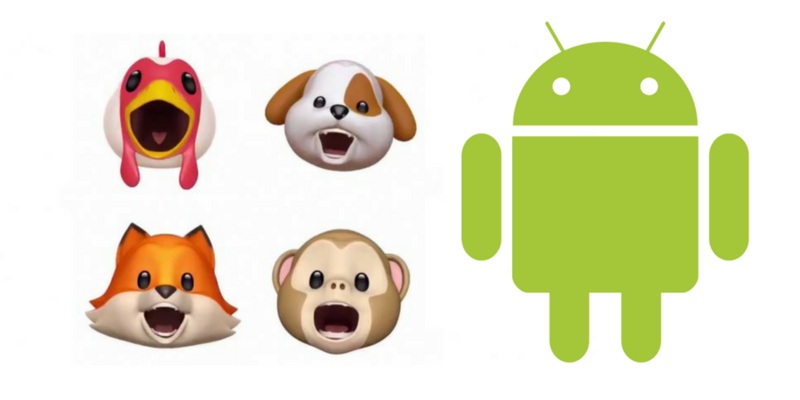 Even if there are few apps that claim to be Animoji for Android, you will end up with having some animated Emojis only. I couldn’t even find an app that is close to Animoji I saw on iPhone X. These apps also show too many full-page ads and other kinds of ads. If you still want to try, here are few animated Emoji apps to try. But, don’t expect too much. Most of these apps allow you to swipe your face with an emoji or just have an animated emoji on your face. But that is not Animoji as it is much more than that. You can try these apps to see if you are satisfied as I was not. If you badly want to try Animoji, you need to buy iPhone X.